Our Live Resin products are derived from the highest quality cannabis material that is harvested and immediately frozen before extraction. This ensures maximum terpene and cannabinoid retention and is unrivaled in taste, Potency and effect. MPX sauce is available in both Cured and Live Resin. Our Sauce is a 1:1 Combination of HTE and HCE. > HTE- High Terpene Extract is a liquid consistency with a high percentage of terpenes. > HCE- High Cannabinoid Extract has a crystalline consistency prominent in THCa. We Combine the two in equal parts, synchronizing the crystals (HCE) with the terpenes (HTE). The result is a high-quality experience that offers a very effective therapeutic benefit. This product is packaged in air-tight glass container with PTFE (Polytetrafluoroethylene/Teflon) lined with steel lid that provides maximum chemical compatibility to maintain the integrity and freshness of the original extract. Our Cartridges are made with our high-quality, THC-rich distillate. We do not use any artificial ingredients or flavors. We infuse strain specific, all-natural terpenes for a modulating and palatable experience. MPX Cured Resin products are derived from the highest quality cannabis material that has been dried and cured under the most optimal conditions. The result is a rich, full-bodied experience that will leave you craving more! 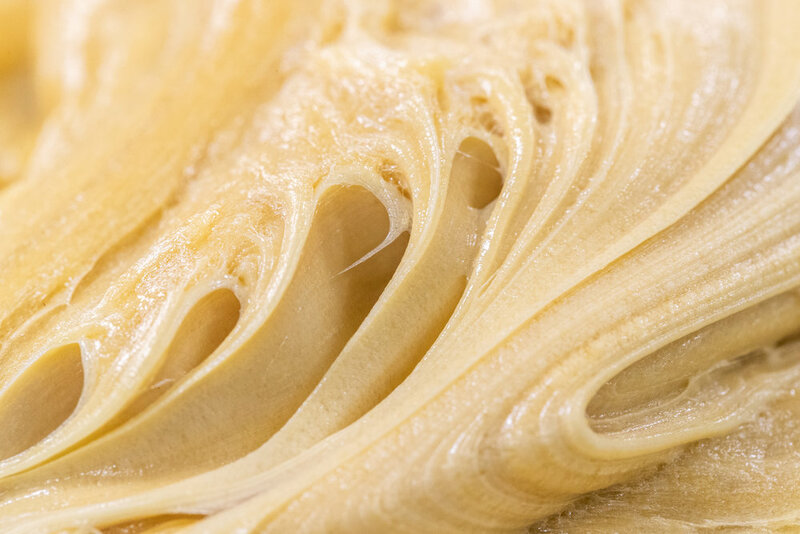 MPX Wax is lightly creamy and its texture ranges from a soft cake batter to a sugary and/or dryer consistency. Our proprietary extraction methods allow us to retain the natural terpenes of the high-quality starting material for a maximum aroma-therapeutic experience. This material is packaged in an air-tight glass container with a PTFE (Polytetrafluoroethylene/Teflon) lined, steel lid which provides a high chemical compatibility to maintain the integrity and freshness of the original extract. MPX shatter is completely translucent, making it very aesthetically appealing. It can be a very stable or glass-like consistency, making it easy to break into small manageable pieces for easy dosing. Some strains that are rich in terpenes end up more of a pull-n-snap consistency- A softer and stickier consistency that requires swift movements to break into small, manageable pieces for easy dosing. Putting pull-n-snap in the fridge will make it more stable for easier handling. This product is packaged in FEP (fluoro ethylene polymer). This provides maximum chemical compatibility to maintain the integrity and safety of the original extract.